If 10% of your business products provided 50% of your income, would you not work very hard to protect that 10%? 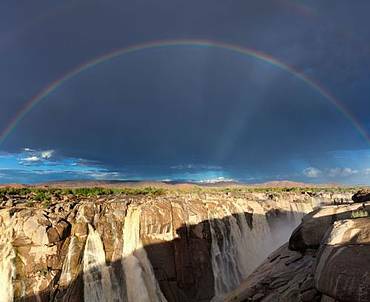 In South Africa, half of our river flow is supplied by only 10% of the land – a small area that forms our vital water source areas, yet not enough is done to protect these water-supplying landscapes. With our critical mountain catchments far from sight of the cities they supply, the true source of our water is often not top of mind. If there is one part of nature that we need to function well – it is to look after the land that supplies our dams, farms and cities. We need healthy functioning landscapes to provide us with clean fresh water. For every two drops of water in our rivers and dams, one of them fell as rain in a water source area. Yet only 16% of these areas are formally protected in South Africa. Water availability is one of the most decisive factors that affect the economic, social and environmental well-being of South Africa. Land degradation linked to mining as well as poorly planned agriculture and water-thirsty invasive alien plants are among the main threats to our life-giving waters source areas. 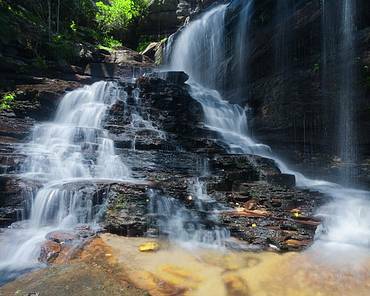 WWF works to promote the protection of water source areas in policy and long-term planning as well as co-ordinating stewardship and collective action in key catchments. 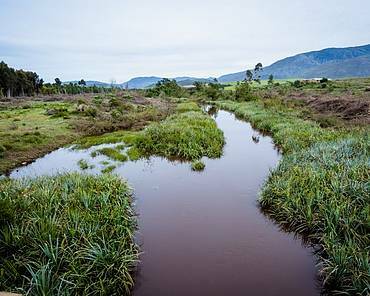 To ensure that South Africa has a water secure future we enable companies, farmers and communities to work together to reduce water risk downstream. We also raise awareness about the value of water and where it comes from – nature. We do this through our Journey of Water campaign where we showcase key water source areas and remind people that water doesn’t come from a tap. 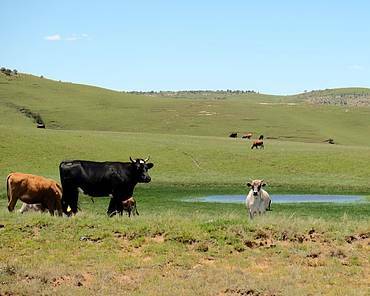 We work with smallholder livestock farmers in the Eastern Cape and Southern Drakensberg water source area to improve the sustainable management of their landscapes and water resources. In Mpumalanga, we work with smallholder farmers to improve their farming practices so as to produce better crops. In both areas we help them access more lucrative markets, creating better livelihoods for the participants. 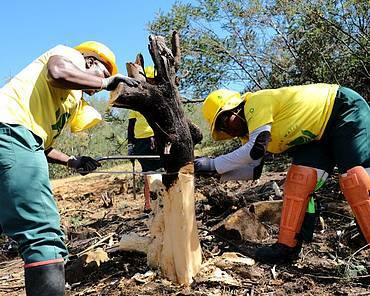 WWF also drives the clearing of invasive alien species and replanting of waterwise indigenous species. We do this in the Soutpansberg in Limpopo and the Outeniqua along the Garden Route. 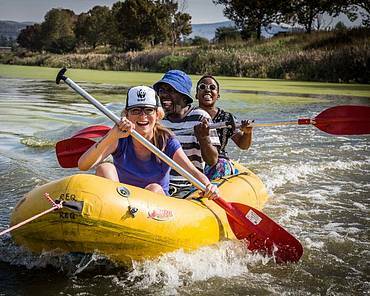 WWF works with government and major corporates such as Sanlam, Mondi and SAB/AB InBev, as well as NGOs and research institutions, local farmers and communities that live near to, or rely on, water source areas. 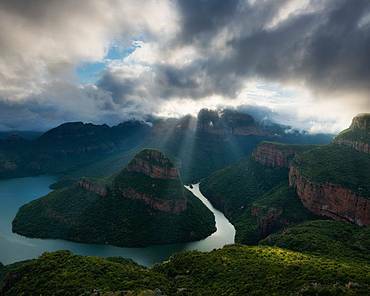 In 2013 WWF conducted research with the Council for Scientific and Industrial Research (CSIR) to assess and map our country’s strategic water source areas. This revealed that only 8% of our land produces 50% of our surface run-off. From here, we looked into the threats to water security in these areas and how can we protect them for future generations. 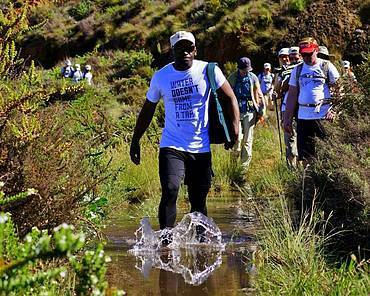 In 2013, the first Journey of Water took place from the Berg River Dam in Franschhoek to Cape Town. 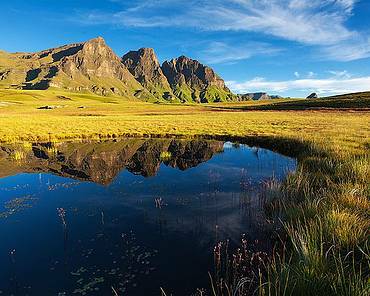 The second one, in 2015, went from the Drakensberg to Pietermaritzburg and in 2017, from Mabola Protected Environment in Mpumalanga to Pongola in KwaZulu-Natal. Water source areas have been recognised in several national government policies and plans, including the National Water Resource Strategy II (2013) and the draft Water and Sanitation Master Plan. 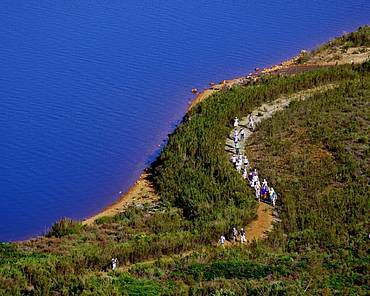 We have cleared more than 900 hectares of alien trees in the Outeniqua mountains near George, creating over 28 000 days of local employment and releasing more than 1 billion litres annually back into the natural water system. 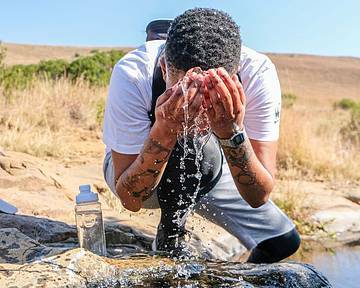 Since 2013 we have run three Journey of Water campaigns, a three-day experiential adventure, where top SA celebs and media teams are exposed to the complex challenges that water faces. Find out where your water comes from and learn more about our critical water source areas.